Salah (Daily prayer) is the core act of worship in Islam, and every Muslim should strive to improve the quality of their prayer. 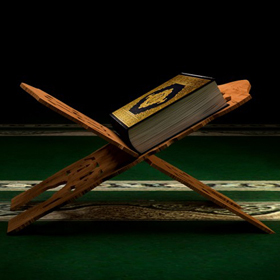 Salah plays a central role in the daily life of a Muslim. It is food for the soul and the way to communicate our profound desires and wishes to Allah, Most High. This amazing Prophetic ritual is full of beautiful utterances of remembrance and wisdom. Essence of Salah is a powerful course that introduces students not only to the rulings relating to prayer, but also to its spiritual beauty. The course will provide students with the Shariah rulings and integrals pertaining to Salah as mentioned in the legal manuals of the Hanafi School such that one is able to perform prayer in full confidence. This course is perfect for anyone who wants to gain this knowledge and place their prayer on solid ground, firmly securing the validity of their worship as well as attain tranquility and understanding. By the end of the course you will have learnt how to correct the most common mistakes in prayer and finally have the confidence to pray without confusion or worry. Not only will you have learnt the rulings relating to prayer but also the inner dimensions that allow your heart to be attached to the worship of Allah and escape to tranquillity each time you pray.